Wat is dit voor site? Wij zoeken de goedkoopste boeken op internet. The Mason County Hoo Doo War, 1874-1902vonden we het goedkoopst op Bol.com voor €27.99. We hebben gezocht in nieuwe en tweedehands boeken. Rechtsonderaan de pagina kan je het boek direct bestellen	via Bol	.com. 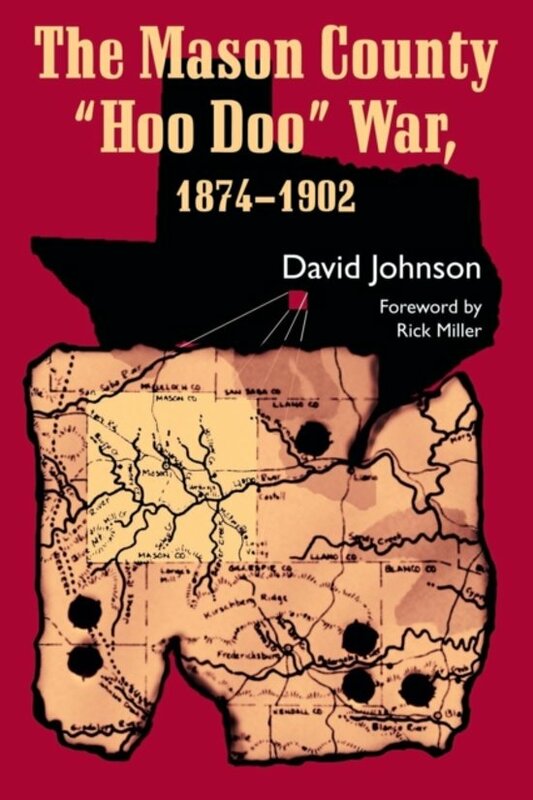 In 1874 the Hoo Doo War erupted in the Texas Hill Country of Mason County. The feud began with the rise of the mob under Sheriff John Clark, but it was not until the premeditated murder of rancher Timothy Williamson in 1875, orchestrated by Clark, that the violence escalated out of control. His death drew former Texas Ranger Scott Cooley to the region seeking justice, and when the courts failed, he began a vendetta to avenge his friend. In the ensuing months, Sheriff Clark's mob ambushed ranchers George Gladden and Moses Baird, which drew gunfighters such as John Ringo into the violence. Local and state officials proved powerless, and it was not until the early 1900s that the feud burned itself out. Uitgever University of North Texas Press,U.S.